Theatricum's third annual BOO-tanicum is set for Friday, October 25, 2013 from 4 to 10 p.m. at Will Geer's Theatricum Botanicum in Topanga Canyon, California. 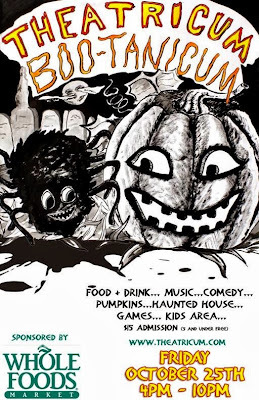 If you celebrate Halloween and you're looking for some seasonal family-friendly entertainment for kids, you'll likely enjoy this late afternoon and evening event that's within a short driving distance from Los Angeles. It all takes place in a beautiful outdoors woodsy setting in the Santa Monica Mountains, just about 30 minutes drive depending on traffic from the city of Santa Monica (I-10) or the San Fernando Valley (I-101). Kids and parents are encouraged to come in costume to take part in all the festivities. The theater consists of an outdoor amphitheater with bench style seating so it's a good idea to bring light jackets for your family. You can rent seat cushions and blankets there or feel free to bring these from home for added comfort, since evenings this time of year tend to be cool. Theatricum also suggests arriving 30 minutes to one hour early so you don't feel rushed. Tickets are available for $15 each for adults and kids over 5 years old; children under the age of 5 are free. More information and tickets may be purchased at Theatricum.com and on this Southern California based thespian's Facebook page. Parking in the theater's lot is $5 per car but is free along Topanga Canyon Boulevard. 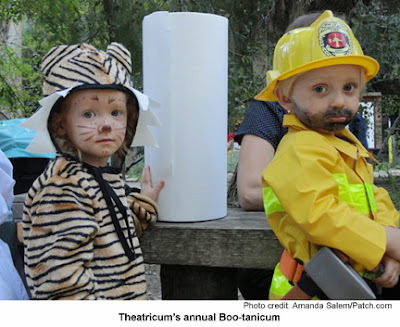 MommyBlogExpert's Theatricum Boo-tanicum 4-pack Event Tickets Giveaway ends October 22, 2013 at 12 am PT. Contest open to legal residents of the U.S. only. 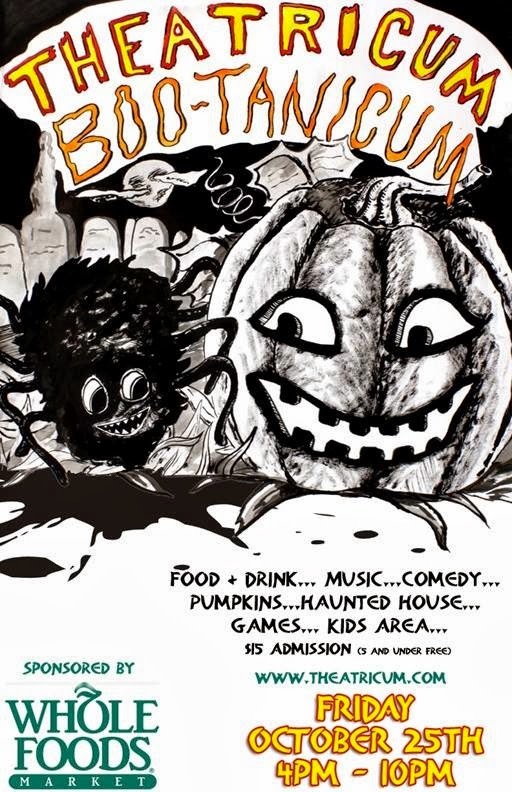 ONE (1) Winner of this MBE contest will be selected at random to win a pack of FOUR (4) Theatricum Boo-tanicum tickets to the 10/25/13 event from all entries and will be notified via email and must respond within 24 hours to claim their prize. FTC Disclosure: I did not receive any compensation or payment for this post and opinions are my own. 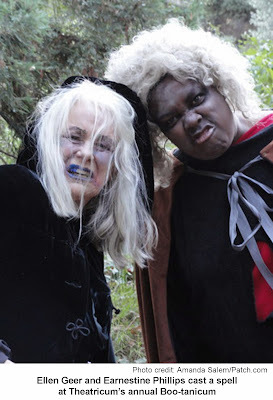 However, Theatricum is providing four tickets to the event for the giveaway. See complete FTC Disclosure information that appears at the bottom of MommyBlogExpert's main page and at the bottom of every individual post on this blog, including this one. I live in LA and ouwld love to attend this with my daughter. CONGRATS Amber, winner of MommyBlogExpert's Theatricum BOO-tanicum Halloween 4-pk Tickets GIVEAWAY!